Let's just start off with how gorgeous 101 Steak is. I could barely make it to my seat because I was too busy gawking at all the rich dark wood, soft buttery leather and tall grand ceilings adorned with beautiful chandeliers. We walked past a well stocked bar and a large table set with all different juices, fruit, and bitters. Which I would later come to find out is their "Libation Station" , where you can customize your own Mimosa or Bloody Mary. We were seated in a nice comfy corner and were promptly greeted by our awesome server, Christopher. He was very attentive and super sweet, even going so far as to put a candle on my ricotta donuts we had for dessert for my birthday. We started our meal off with their delicious smoked salmon board that they smoke in house on their big green egg in the back served with all the fixings to create your own bagel. Then we had to choose from their extensive list of not only champagne but rose' and prosseco allowing you to further customize your Mimosa. 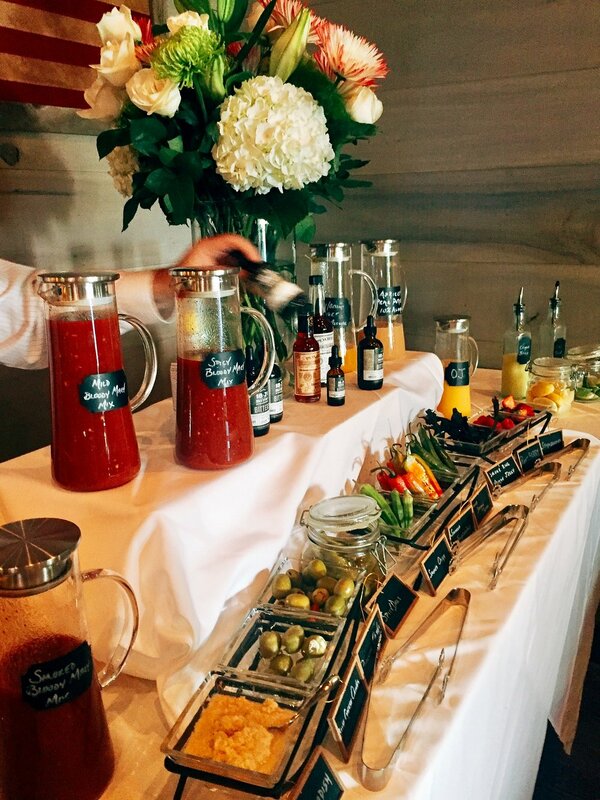 When we made our way up to the "Libation Station", we were greeted by the restaurants assistant general manager Chris Reid who showed us some delicious combos for our Mimosas. 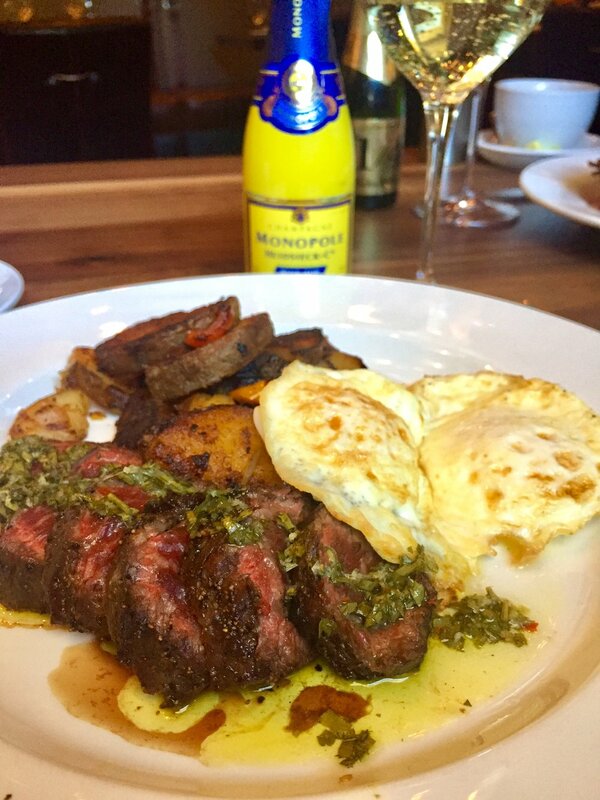 Finally for our main dish I decided on the hangar steak and eggs with chimichuri sauce. When I say that was the best steak and eggs I have ever had, I'm not exaggerating. The steak was cooked perfectly and the chimichuri sauce was so good I almost licked the plate. I had such a wonderful experience at 101 Steak and can't wait for my next meal with them.